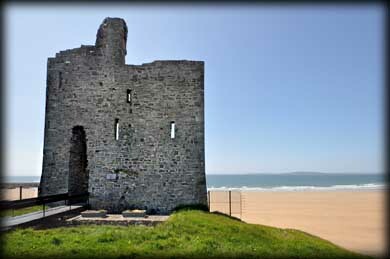 Ballybunion Castle is one of fifteen cliff forts on the North Kerry coast. 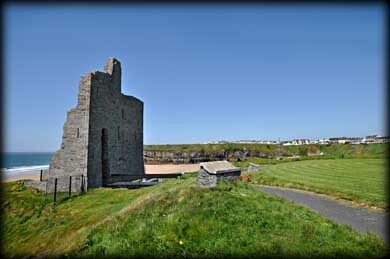 It was built by the Fitzmaurices inside an earlier promontory fort around c.1500AD. In the middle of the 16th century the castle was acquired by the Bunyans from whom the town gets its name. 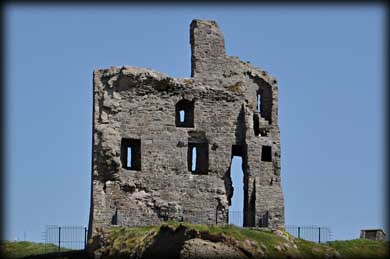 In 1604 the castle was back in the possession of the Fitzmaurices and remained that way until the mid-18th century. The castle has been a national monument since 1923. 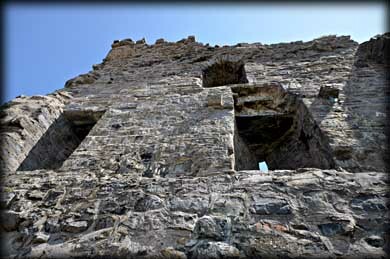 The 12 metre-high east wall is all that remains of the castle. It was built with black coursed masonry and has cut quern stones. There are few features remaining. A souterrain leading from the south cliff face towards the castle but stops before reaching the castle due to a cave-in, was discovered in 1987. Situated: Very easy. 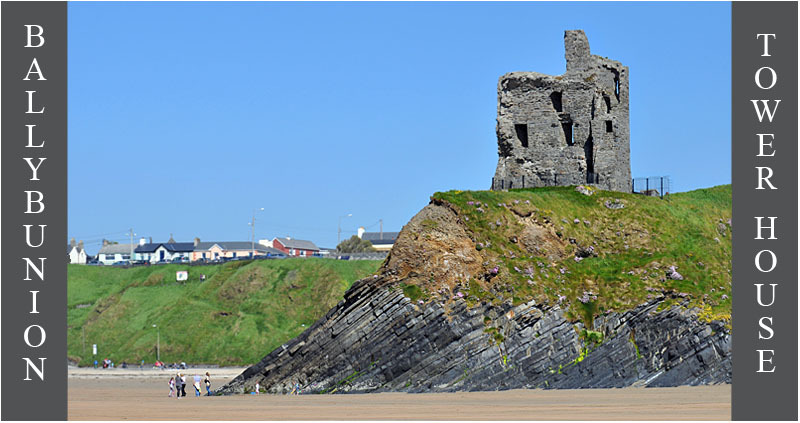 The castle is located on the top of a cliff at Ballybunion beach in the Castle Green area. Discovery Map 71: Q 8611 4139. Last visit May 2013.